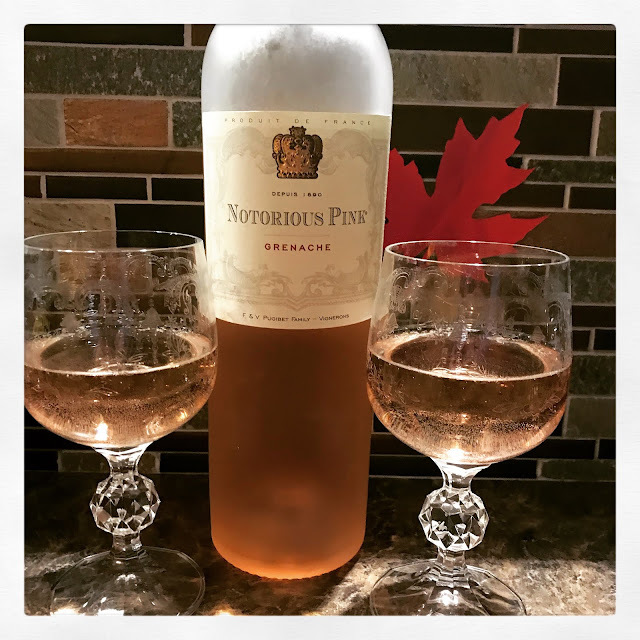 The foodie sisters received a sample of Notorious Pink Rose and so we decided to pop it open during our Thanksgiving gathering. It went over quite well. A semi-dry blush with hints of berries and citrus, it's made from 100% Grenache, which is the leading grape varietal at Domaine la Colombette in the south of France. All the girls had a glass in hand and quite enjoyed it. According to tasting notes of this luxury brand, it's delicious with seafood, vegetables, pastas and poultry. It has won five gold medals and two "Judge's Favorite" in addition to many silver and bronze medals in regional competitions and in Paris. If you're looking for something light and impressive for your holiday parties, fill up a glass for sipping and for pairing up with your appetizers or holiday meal. Cheers!